In a professional setting, it is always important to make things official, be it when purchasing products and services, requesting things, hiring employees, and so on. 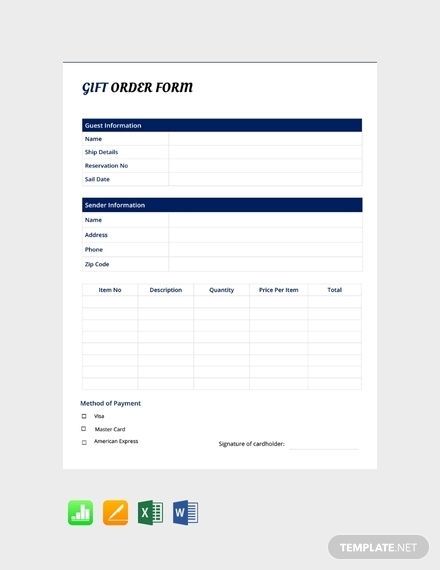 Orders or order forms are essential documents that help in making things official between two or more parties. The general term order has been defined as an authoritative command, direction, or instruction. In this sense, it is right to assume that when order is used in business or academe it means that an official instruction, command, or agreement is reached by two or more parties. Through giving orders an action can be carried out, while following a certain set of rules and regulations. 1. 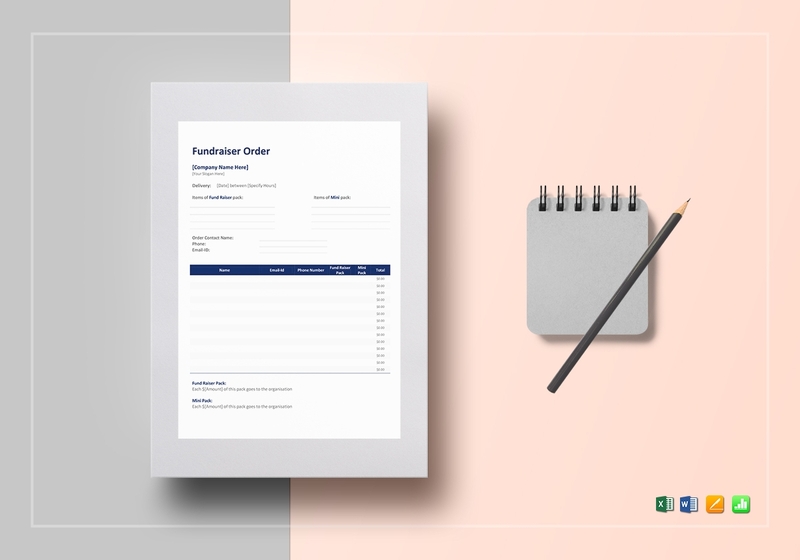 Order or tracking number: With the number of transactions a business has to attend to, it is important to have some sort of legend or indicator to help easily track such transactions. 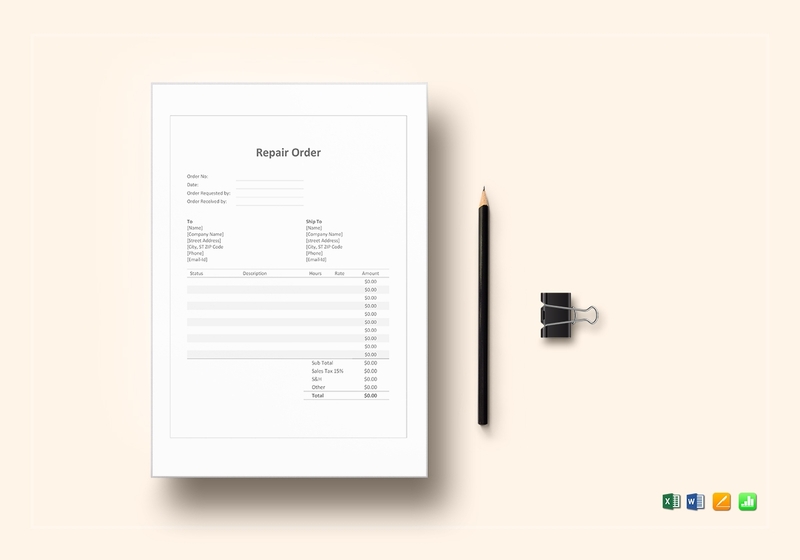 With this in mind, an order or tracking number is essential in a work order to help ensure that the document can be easily tracked for reference or updates. It also confirms the legibility of the work order since it has been enrolled or recorded in the system. 2. Client contact details: Since a work order is made to inform those involved about the details of a job, it is important to keep everyone in the loop. Thus, it is essential to include contact details of the client in a work order to make sure that they can easily be reached in case clarifications are needed, and to share important updates and news. 3. Order deadline or appointment time: Including the order deadline in a work order keeps everyone grounded and motivated to get the job done on time. It helps remind everyone involved that they are expected to provide what has been agreed on within the deadline. Same goes with an appointment time, it helps remind those involved that they need to progress every day to ensure they can present it to the client on every appointment date. 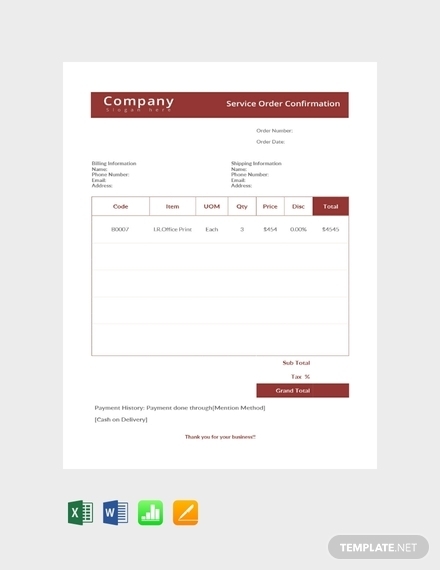 You may also see service order examples. 4. Job specifics: Since a work order outlines the details of a job, it needs to provide the specifics that the job entails. This means it should present information with regards to the job such as the exact location, tasks, equipment, materials, and so on. This helps ensure that everyone knows what is the job all about and at the same time, it helps in making sure the specifics and instructions to make the job a success is followed. 5. Broken down estimated cost: Another element that should be included is the budget and cost that the job will allot to. It is best to break down the estimated cost by every task or item needed for the job. This will ensure that there is no corruption of the budget and that everyone stays on the right track. 6. Notes: Including notes about what has been discussed with the client can also be included in a work order. The notes can be about other information or other things the client wants to include on the order but does not necessarily fit into the major elements. This keeps those involved aware of the minor demands of the client to ensure that those are also fulfilled along with the major ones. 1. Open new document: First things first, in order to start making a work order, you need to launch Microsoft Word in your computer. After that, open a new blank document to use as your canvas. 2. 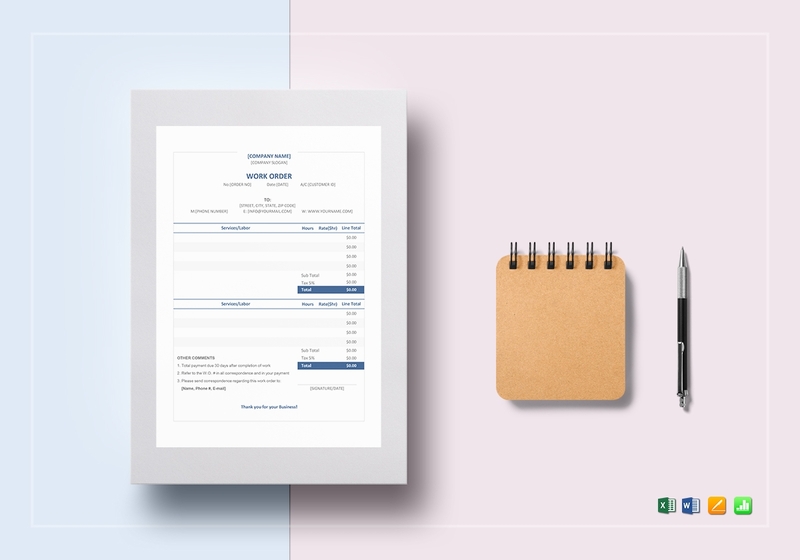 Set page layout: After opening a new document, set the page layout for your work order, from the paper size to orientation down to the margin. Since this is somewhat like an official document, it is important to use a professional layout and format. In this case, set the page orientation to portrait, use the standard page size, which is 8.5 × 11, and use a margin that will allow you to complete your document. 3. Type company information: Once you have the layout of your page set, you begin typing out the information required for your work order. 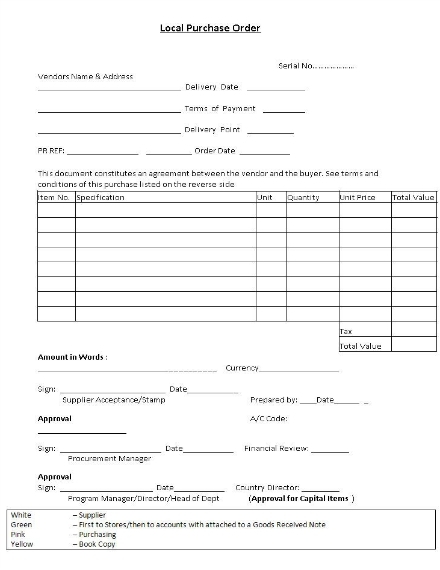 First thing you need to add is your company name on the topmost part of the page. This ensures that there is credibility and legitimacy to the document. 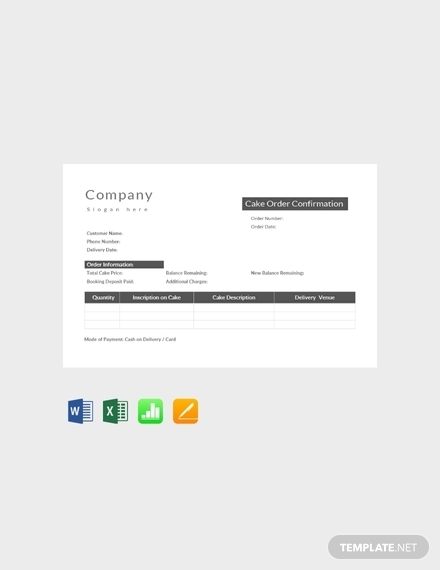 To add the company information, you can insert a text box to write the details and easily move it where you want it. To add a text box, go to the Insert tab, and click text box. Make sure you choose an easily readable font style and size, and make sure your texts are centered and aligned within the text box. When the text box is filled out you can just drag it to the place where you want it on the page. You may also see event order examples. 4. Indicate document heading: In order to separate this document from all others used in your business, it is very important to include a heading. 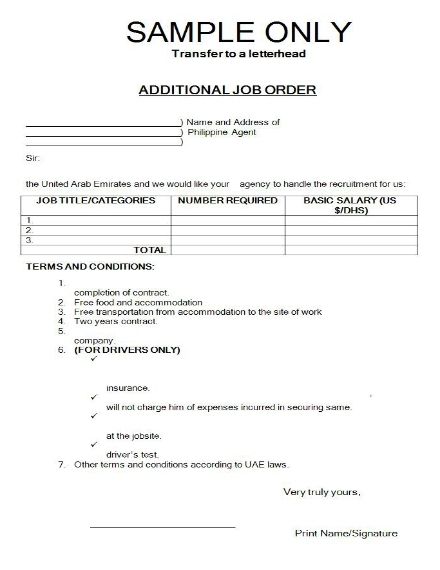 The heading of your document should indicate what it is or what it will be used for; in this case, a work order form. To put the heading on your document, you can either use a text box or just immediately type out underneath the company information section. Make sure that your heading is aligned at the center of the page. In addition, you can include a space where you can write the order or reference number. 5. Create two columns: In this step, you will add two columns under all the details you already have. 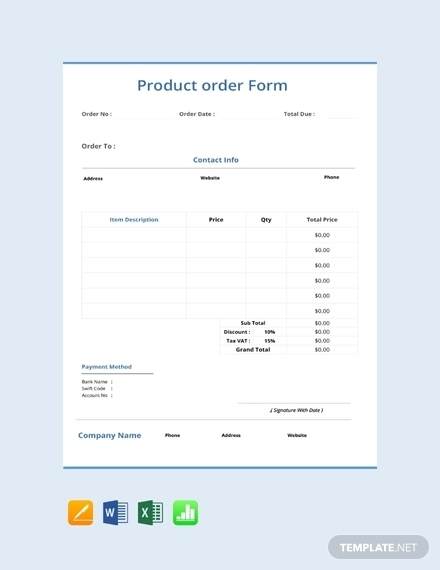 The columns will help ensure that the contents of the form stays where they are supposed to be so that readers can easily understand the gist of the document. With that said, you can create columns by either inserting a table with no rows yet or inserting a rectangular shape. You can do this by going to the Insert tab and clicking table or shape. After inserting it to the page, you can just drag it down so that it is long enough to add more content. 6. Add rows and content on the first column: After that, you need to add rows to both of the columns. The rows will be used for the texts you need to add. You can use the first column for customer information as well a job description. How many rows you would like to use for each section depends on your preference; for example, on the top row you can add the label location, then a few rows after a label section for billing in case a client has location and billing. Then, you can proceed to adding a section for the type of work and job description. 7. Add content to second column: This column should also have rows where you can write your content. Then strategically divide each column to allow you to include specific information on the same row. 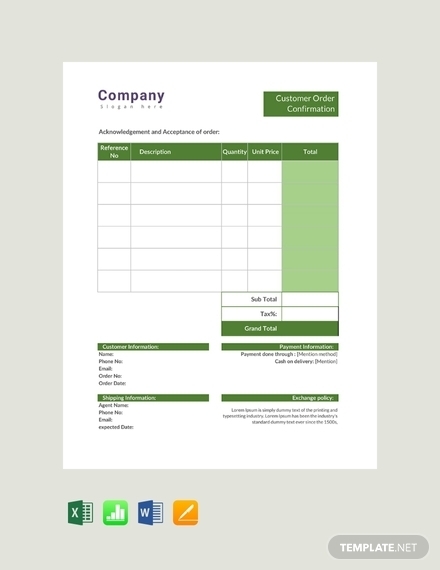 For example, divide the top row into three parts so you can use them as order placed by, taken by, and date boxes. Then below that row, add a materials section that will allow you to specify the quantity needed, the price it will allot to, and the total. Basically, use this column to put details about the work order itself. 8. Proofread and edit: After you have everything on your work order, you need to make sure there are no errors and that you have enough sections to put important information on. If necessary, add more sections for other details and adjust height of the rows so you can add texts more easily. Making sure there are no errors in your form also ensures that clients can fill it out with the correct information. Now that you know how to make a work order, here are additional tips you can refer to so that you can ensure you have an effective work order. Do not forget to include a heading; this helps avoid confusion on your and the client’s side. Make sure you have accounted for all the necessary information. Indicate the name of the company as well as contact information. Clearly write/type and spell out the labels for specific sections. When using abbreviations, make sure they are commonly used ones and understandable. Using a standard form will make things easier. Use readable font and size. Proofread and edit before printing and distribution. A work order is basically an official document shared between the client and the business; it is shared with the employees and other people within the company that is involved. In this case, it is follows the standard professional paper size which is 8.5” × 11”. However, it is still completely up to the business’s preference and what will allow them to include as much required information as possible. In the most basic sense, a job order is given to a job/position candidate as a signal that he/she can take the job that he/she has applied for. On the other hand, a work order is basically a task or job that a company is ordered to provide. This means that a work order is per customer’s request, meaning the company will be paid when the work is provided and accomplished. Using a work order hands you the benefit of making things easy since details pertaining the task is thoroughly provided. Since it is basically a guide or a reference point, it guides you on what you should do. 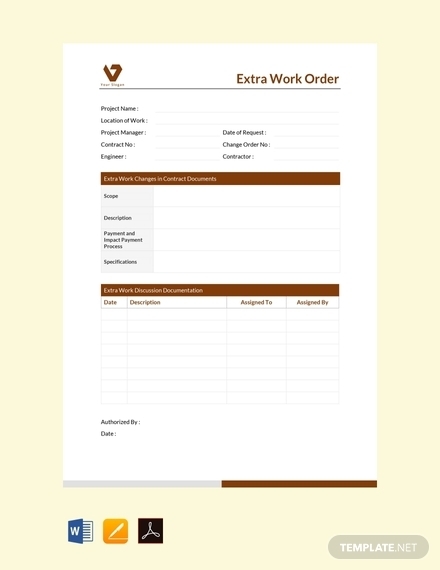 Through a work order, scheduling employees and ordering materials becomes easier and more efficient since all you have to do is refer to it. It helps make sure that you are aware and informed on what the client wants; thus, helping in making things go smoother on both ends. Any business can use work orders, but service-providing businesses have been using it for a long time now. Businesses such as in the general contracting and renovation, landscaping, cleaning, snow removal, and pool maintenance industries, and so on make use of the advantages of a work order. It helps them clearly outline the work for employees or contractors completing jobs. 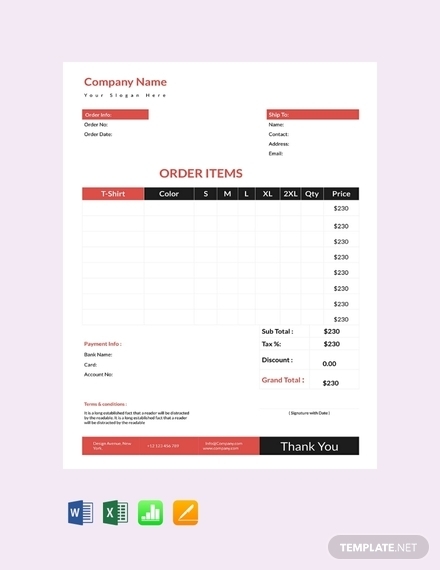 You may also see delivery order examples. Is a work order necessary? Since a work order outlines all the necessary and important details regarding a task or a job, it is completely necessary. It makes the room for mistakes slimmer, making the transaction easier and more coordinated. It helps ensure that there is no confusion between what the client wants and how the company can provide them effectively. Thus, it can be a significant part of the success of the entire transaction.